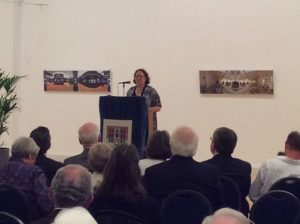 Sharon Gerstel won the 2016 Runciman Award at a ceremony held at the Hellenic Centre on 14 June, for her book Rural Lives and Landscapes in Late Byzantium, published by Cambridge University Press. 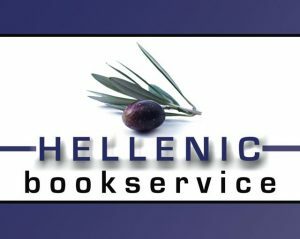 Gerald Cadogan, Chairman of the Anglo-Hellenic League congratulated the winner, Professor Gerstel, and the authors of the four other short-listed books in his address to a large audience of book lovers, philhellenes and members of the League. He thanked the National Bank of Greece for its generous sponsorship of the award over a period of nineteen years, and announced the news that Elias Paraskevas Attorneys 1933, the distinguished Greek and international law firm, would sponsor the award for the next five years. Dimitris Paraskevas, Managing Partner, told the audience of his pleasure and pride that his firm was to take on the role of supporting this award. Sharon Gerstel then accepted the award of £9,000 from Simela Dennis, the representative of the National Bank of Greece, and thanked the sponsor, the League and the judges. 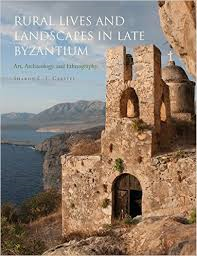 The product of over twenty years of painstaking fieldwork in Greece, Sharon Gerstel’s Rural Lives and Landscapes in Late Byzantium seeks to reconstruct the lives of the rural poor in Greece from a wide range of sources: from the material remains of settlements, from ethnographic research, from illustrated manuscripts – but especially perhaps from the wall paintings of countless small churches used continuously over the intervening centuries, but many now in a state of disrepair. Professor Gerstel’s book covers all aspects of rural life: from physical labour to witchcraft or the role of gossip (one of the main sins in representations of the Last Judgement). What distinguishes her book, however, is her attempt – as she puts it in her opening – to view the Greek landscape ‘from the heart’. This is an ambition that is amply fulfilled: every page is imbued with a sense of duty to preserve the memory of the rural life that she describes, and to honour those individuals who guided her in her fieldwork. (A delightful aspect of her book is the presence of so many people in her photographs.) Like another Runciman prize winner, Juliet du Boulay, she manages, in essence, to summon up a whole world – real and imaginary – of past experience. For that extraordinary achievement, the Runciman Award for 2016 is awarded to Professor Sharon Gerstel. Clio’s Other Sons is beautifully written, could not do more to make some very difficult questions clear, and deserves a wide readership. It is a magnificent work of scholarship, one of the most important books on Ancient Greek history writing for many years, and by a close margin, our runner-up for this year’s award.